There are few moments in your life which are going to be as exciting as when your new baby arrives. This is an event which is going to change your life in so many ways, and there is no doubt that this includes in the financial sense. So what can you do to budget for the baby? 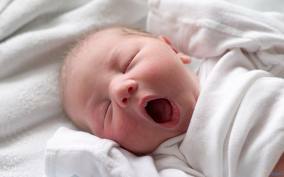 One of the tasks which gets most new parents excited is that of sorting out a nursery for the little one’s arrival. This is a great thing to do and the sooner you get it ready the better, for a number of reasons. For a start, the cost can end up being a lot more than you originally budget for, so it is nice to have a bit of breathing space to do the work bit by bit. Also, you will have a lot of other things to do and expenses to deal with the closer you get to the birth. By looking in advance you can also probably make it more of a joint project. If you wait too long the mother is likely to be increasingly tired and may not be up to doing a lot of shopping or decoration. This means the father might end up having to make a lot of the decisions on his own. There are other big expenses you might come across, such as buying a pram and all the clothing they need. One of the most important issues which many families leave too late to budget for is that of the car they use. If it is now time to switch to a more family oriented vehicle you will want to work out in advance how you are going to pay for this change. Let’s talk about nappies. There are a lot more ongoing expenses than this but the example of nappies gives us a great idea of how expensive it can be to raise a child and also how you can save money. The first figure to scare you is that by the time they are fully potty trained the average child will go through well over 6000 nappies. Now have a look at how much each one costs and you can see that we are talking about some serious money invested in smelly things that get thrown in the bin. While we are on the subject of scary nappy facts, it is worth pointing out that disposable ones take centuries to break down in landfill sites and that millions of them are dumped every day. If you have the time and inclination to wash disposable ones instead then you can save a lot of money and help the planet too. If you don’t have the patience for any of those solutions but you still want to knock as much money as you can off that 6000 nappy bill then you could also consider buying nappies in bulk. Most supermarkets often have very good offers on bulk buy nappies and these days even online stores like Amazon* offer deals on bulk nappies and they will deliver them straight to your door. The same sort of principles apply to other essentials like milk and baby food. By giving the little one breast milk and homemade food you can save on a fortune on the cost of buying formula milk and those little jars of food. We’ve all heard the term ‘breast is best’ so not only will you be giving your little one a better diet, you’ll also be saving on packaging and helping the environment. Maternity leave and paternity leave are great ideas but they do leave you with less income each month you are on it. For many new parents it is a tough choice to make between staying off work longer to spend time with their baby and going back to work sooner to start earning full wages again. This is clearly a personal choice for each family but one point worth considering is that if you can save up enough cash before the birth then you might not have such a tough decision after all. 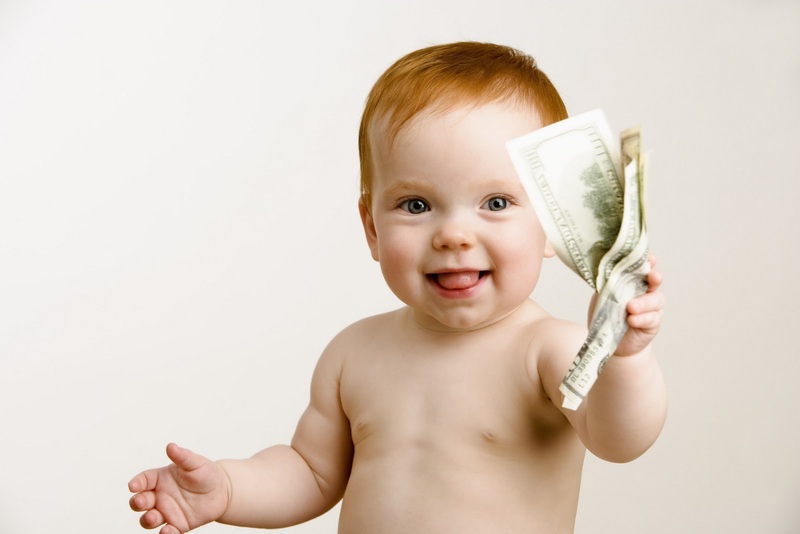 Many new parents see the birth of their child as a great time to put some money away for them. This is a wonderful idea and it is a great thing to do with any cash which they have been given by relatives on being born. This money will be sitting in an account for them for a long time so you should take your time over choosing the account and get it just right. Will Changes to Child Tax Credits Cause a Baby Boom in 2016? Raising A Baby On A Budget! Why Do More Men Not Take Their Full Paternity Leave? We don’t have any kids so we don’t really know about the expenses to have a child. I think if we do decide to have kids lots will change simply because of the added expenses. It certainly will change up the budget quite a bit, but worth it. Well you do need someone to take up the family blog Mr CBB! Thought the money was for your kid? 🙂 Good work John! Having a child is one the best and most rewarding things. There’s a lot of things a new baby will need, and although one can never be fully prepared, having a good budget is essential in at least preparing yourself financially. I would also add one way that we saved a bundled, is by going gently used on some items. Reach out to your family and friends. A lot of toys and clothes were passed down from family, so we didn’t have to buy a whole lot during our first few months. We had loads of great clothes and toys passed on to us as well and it really helped us to stay on budget. We we’re also fortunate enough to have a bit of willing help from family when it came to buying one or two of the bigger items. Great post, Adam. I would add too to look around for used nursery items. When our babes grew into toddler ages, we sold all of our excellent condition nursery items for about 25% of retail prices. Great deals on great quality stuff can be found.